Announced this morning, Audi and Volvo will be including Android Auto natively in their next generation of vehicles, with the systems on display at this week’s Google I/O. There were not many specifics mentioned with regard to models that will have Android Auto built inside, but by “next-gen,” it seems possible we’re talking about the 2018 lineup. Along with the announcement, Google did post two concepts of what potential owners will see, with those interior concepts based on a Volvo XC60, as well as an Audi Q8 Sport. With the system built directly into the vehicle, owners won’t need to have their phones connected to make it work. As detailed, users can get help from Google Assistant (will be the first official pairing of Android Auto and Assistant), find directions with Google Maps, or even listen to Spotify with no smartphone paired. According to Google, these systems will be on display at Google I/O this week, but if you aren’t able to attend in person, the Android Auto team is hosting a livestreamed session where everything will be on display for anyone to see. 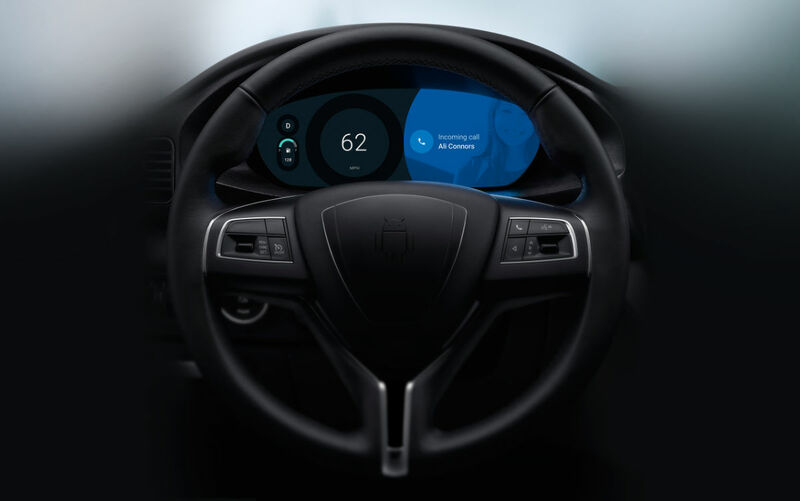 Also, check out that Android steering wheel header image. I want that.